Children of highly critical parents show less attention to emotional facial expressions, according to new research from Binghamton University, State University at New York. 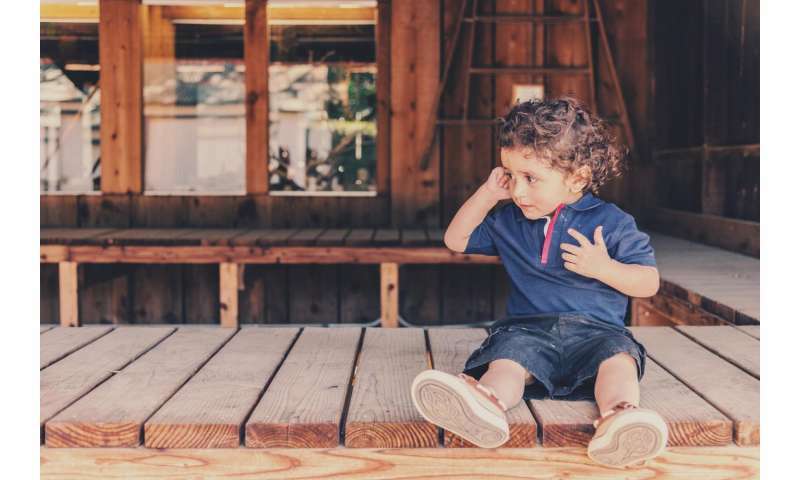 "These findings suggest that children with a critical parent might avoid paying attention to faces expressing any type of emotion," said Kiera James, graduate student of psychology at Binghamton University, and lead author of the paper. "This behavior might affect their relationships with others and could be one reason why children exposed to high levels of criticism are at risk for things like depression and anxiety." 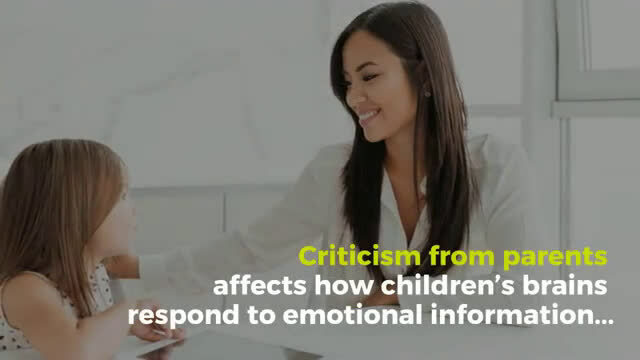 The researchers wanted to examine how exposure to parental criticism impacts the way that children process and pay attention to facial expressions of emotion. One way to look at attention is through a neural marker called the Late Positive Potential (LPP), which provides a measure of how much someone is paying attention to emotional information, such as a face that is happy or sad. James and fellow researchers had parents of 7 to 11-year-old children talk about their child for five minutes. These statements were later coded for levels of criticism. They also measured the brain activity of the children as they viewed a series of pictures of faces showing different emotions. The researchers found that children of highly critical parents displayed less attention to all of the emotional facial expressions than children of parents displaying low levels of criticism. "We know from previous research that people have a tendency to avoid things that make them uncomfortable, anxious, or sad because such feelings are aversive. We also know that children with a critical parent are more likely to use avoidant coping strategies when they are in distress than children without a critical parent," said James. "Given this research, and our findings that children with a critical parent pay less attention to all emotional facial expressions than children without a critical parent, one possible explanation is that the children with a critical parent avoid looking at any facial expressions of emotion. This may help them avoid exposure to critical expressions, and, by extension, the aversive feelings they might associate with parental criticism. That said, it may also prevent them from seeing positive expressions from others." The researchers hope to follow up these results with another study examining what happens in the brains of children in real time when they are receiving positive and negative comments from their parents. The paper, "Parental Expressed Emotion-Criticism and Neural Markers of Sustained Attention to Emotional Faces in Children," was published in the Journal of Clinical Child & Adolescent Psychology.